1. Glove box (see details on the following page) 2. 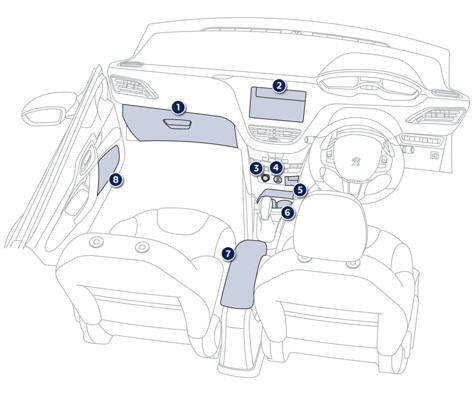 Large storage compartment (without audio system) 3. 12 V accessory socket (120 W) Observe the maximum power rating to avoid damaging your accessory.